Imagine if we shared with each other the negative things we said to ourselves? We all have some version of negative self-talk, and it’s not fun. Simple thoughts like these often have complex meaning that extend all the way back from our childhood. From those moments that can easily launch us back into the feeling of feeling shame, guilt, or embarrassment. These thoughts can make us feel “stuck” because we can’t seem to get the story out of our mind. It’s not our fault. Holding onto these stories tightly can hold us back from being the best version of ourselves. Have you ever avoided a social gathering, work party, or just taking a leap of faith because of your story? Staying in the feeling of fear is almost more comfortable than taking that chance or opportunity to get out of our comfort zone. Recently I’ve had similar thoughts going through my own mind. What if I spend hours upon hours of my time creating a new program and no one wants it? What if I spend the same amount of time and they DO? If I build it, will they actually come?! So how can we change these thoughts that have been part of our story line for what seems like forever? We start by simply noticing and acknowledging that they’re there when the thoughts arise. It can be hard work to confront our thoughts because it’s not always the most exciting thing to do. Often it can be emotional experience. 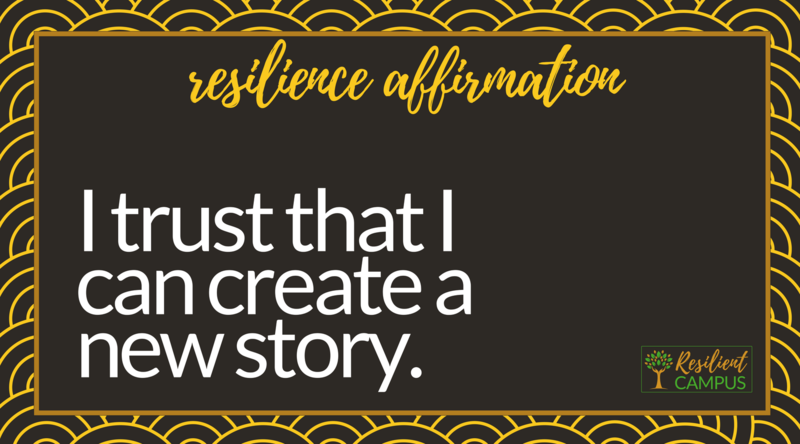 I didn’t really understand the power of affirmations until last year when I stumbled upon them in my resilience research. 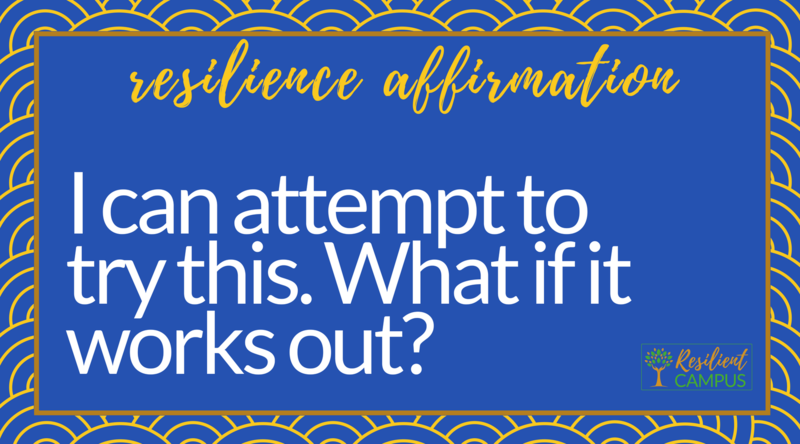 If you’re new to incorporating positive affirmations in your life, it may seem odd to repeat statements to yourself at first. 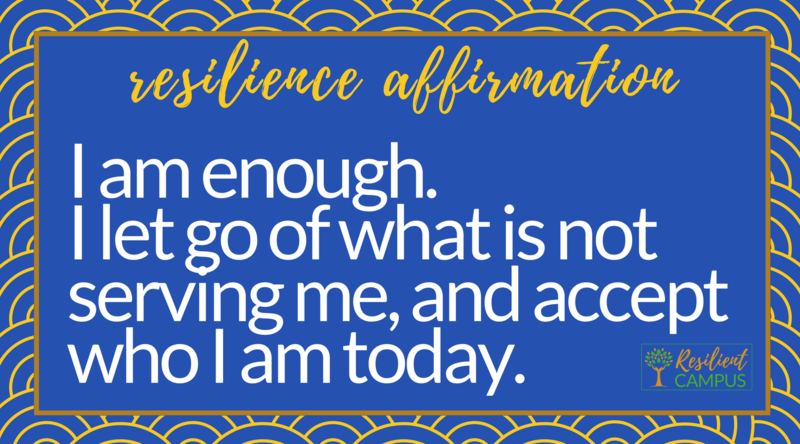 In the simplest form, affirmations help us re-train our negative thought patterns and help us think and believe in ourselves from a whole new perspective over time. 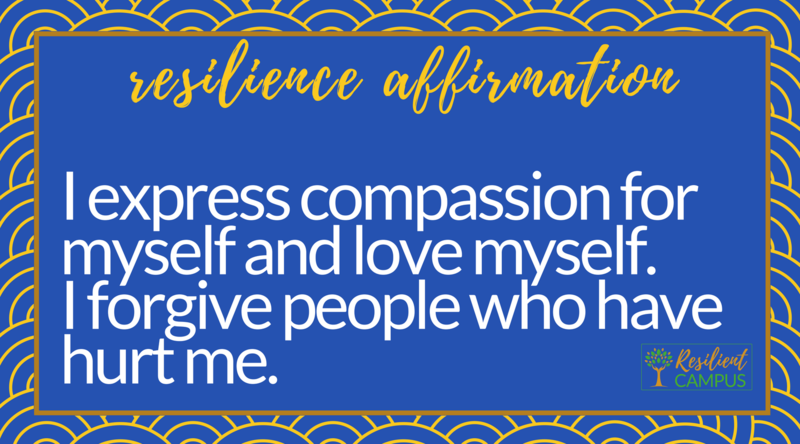 Affirmations are proven to help us in really hard times, and can be a great resilient strategy as we prepare for a new academic year. The practice of affirmations involves saying each statement aloud to ourselves, often to our reflection in a mirror if possible. Say a statement repeatedly until you truly believe them. Say it as a declaration, with certainty, with full commitment. Change the tone and emphasis of particular words to embody the same phrase differently upon repetition. This jolts our body and mind into awakening new parts of our self each time. Issa Rae takes self-talk to a whole new hilarious level, but there’s definitely something to be learned from the confidence she musters with her infamous mirror talks on her show “Insecure”. 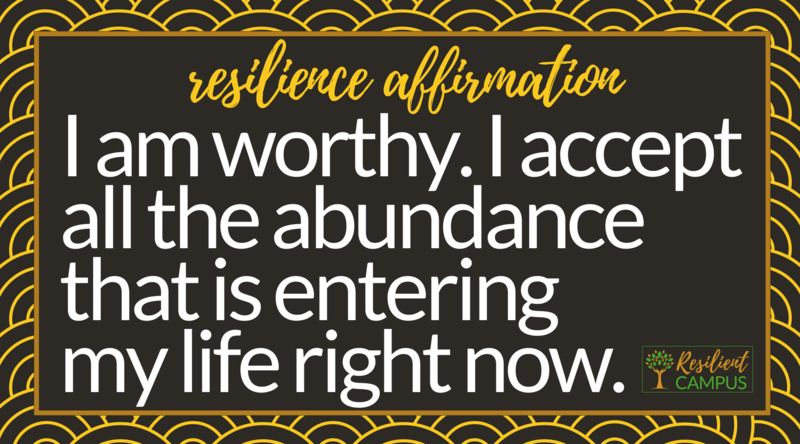 Here are 5 affirmations to help support you during the hard times. I trust that I can create a new story. I can attempt to try this. What if it works out? I accept all the abundance that is entering my life right now. I let go of what is not serving me, and accept who I am today. I express compassion for myself and love myself. I forgive people who have hurt me. Did you enjoy this post? Join my community and sign-up for my monthly newsletter using the form below! I’d love you to be a part of my circle.